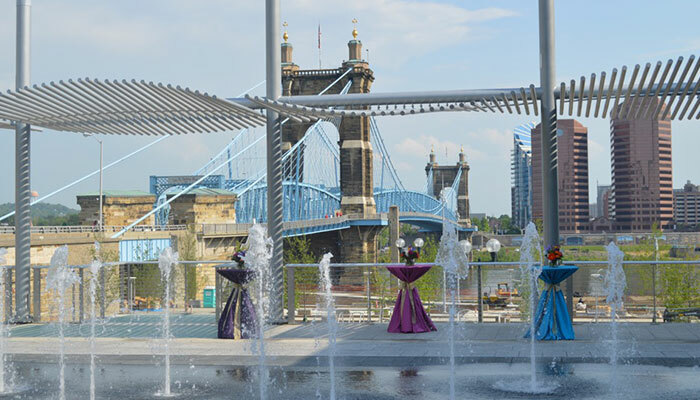 Nestled on the banks of the Ohio River with the Cincinnati skyline as its backdrop, The Annie W. & Elizabeth M. Anderson Pavilion in Smale Riverfront Park— a gift of the Anderson Foundation—is located at street level underneath Carol Ann’s carousel. 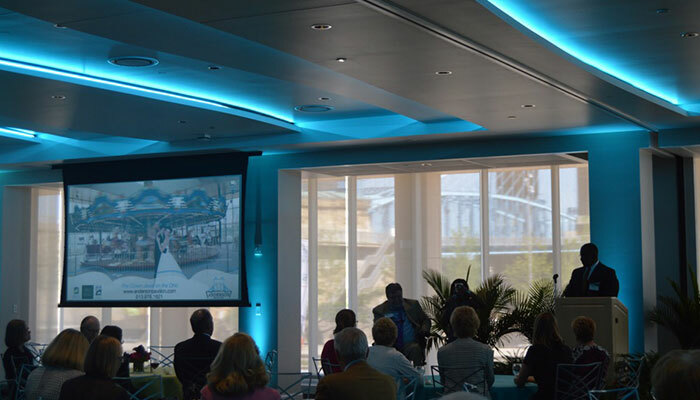 With spectacular views, contemporary elegance decor & ambiance, state-of-the art technology and an award-winning in-house culinary group, The Pavilion will offer a 350+ seat conference facility, ideal for hosting a wide variety of events. 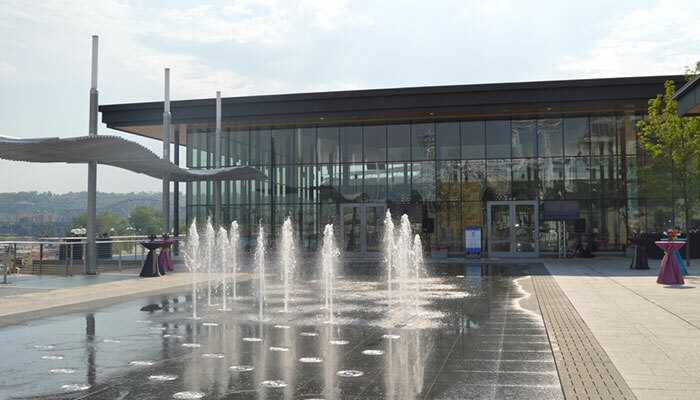 The Anderson Pavilion is named for Elizabeth Mendenhall Anderson and her sister, Annie Wallingford Anderson, longtime Cincinnati philanthropists who supported numerous area charities throughout their lives, including the Krohn conservatory, the Cincinnati Zoo and Cincinnati Children’s Hospital. Elizabeth (Betty) and Annie, born in 1912 and 1917 respectively, were descendants of Nicholas Longworth, the celebrated statesman and philanthropist who supported the poor and contributed to countless organizations. (Longworth famously donated the land to construct the Cincinnati Observatory). 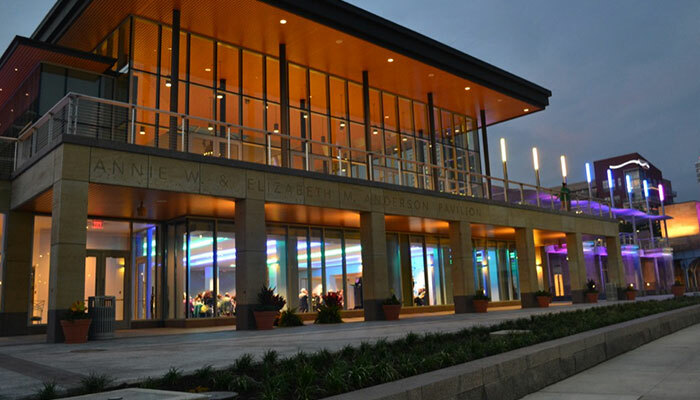 Catherine Longworth, Nicholas’ granddaughter, along with her husband Larz Anderson, became patrons of the arts and encouraged their niece, artist Emma Mendenhall, to cultivate her craft. She did, and became a watercolor artist of significant renown. As part of this gift, the Longworth Room and Mendenhall Room will be established in honor of the donors. 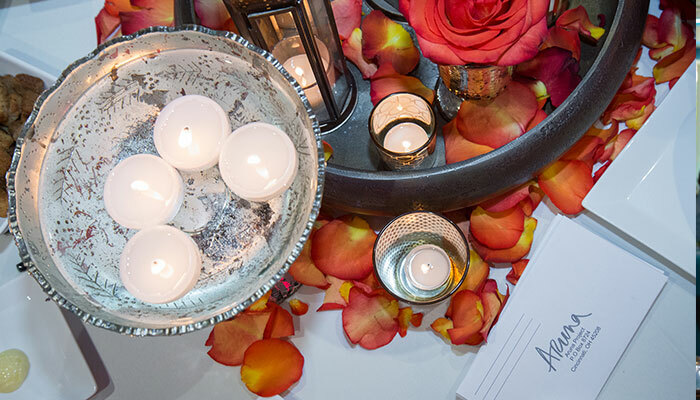 The Anderson Foundation, established in the late 1990s, works to support many of the charitable causes the sisters championed during their lifetimes. 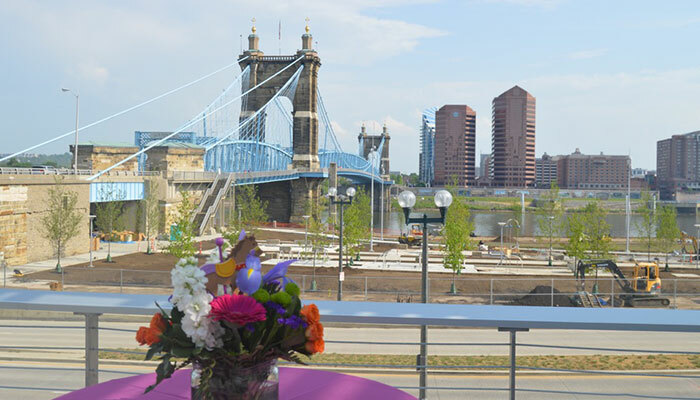 ~ 8 E. Mehring Way ~ Cincinnati ~ OH ~ 45202 ~ info@andersonpavilion.com ~ Located across from Smale Riverfront Park, in-between our two stadiums, right next to the Roebling Bridge. 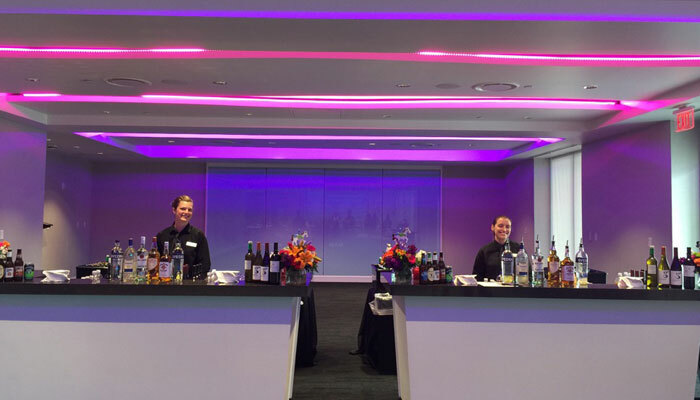 From your first interaction, our desire is to give you a lasting impression of quality and service that is worthy of your special event.